Sales and service of nautical electrical equipment - choose the best for you! Our main activity is selling and installing nautical electrical equipment, and the business is developed on base of making and servicing electrical installations and power distribution panels. 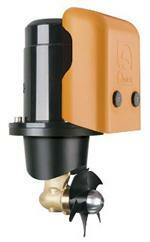 Quick has in offer new models of bow thrusters for smaller motor boats and sailing boats. Glomex developed weBBoat, the new 4G/Wi-Fi Coastal antenna system.